My experience with Airbnb has come full circle! For years, I’ve been a repeat guest. But last year, I got a brief chance to be an Airbnb host. Well, a co-host to be exact; I cleaned an Airbnb rental one time for my landlord before deciding it wasn’t for me. 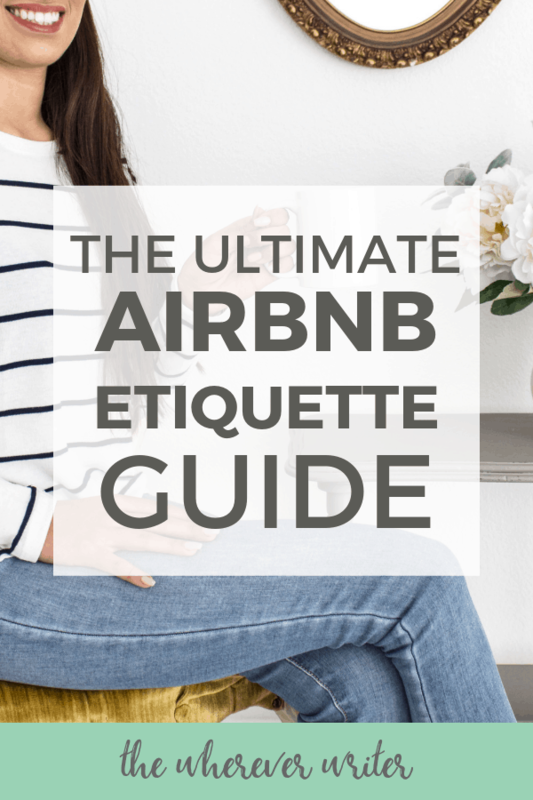 Because I’ve been on both sides of it now, I feel like it’s time to share the ultimate Airbnb Etiquette Guide for Newbie Guests. As with all things etiquette, people may disagree on the details, but these are some guidelines to help you along. In the end, it’s up to you to decide what’s appropriate for each situation. #1 As a guest, do I have to clean my Airbnb before I check out? This is a tough one! 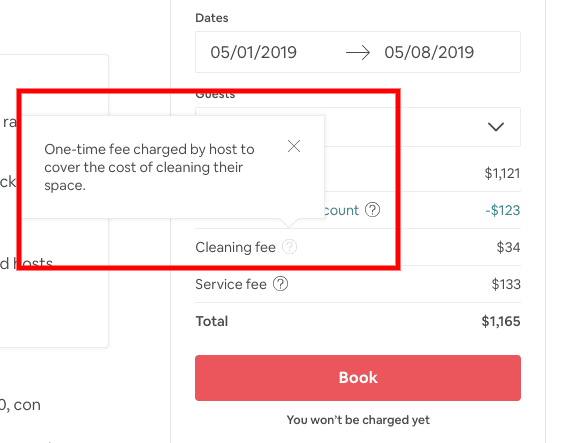 You’ll notice many Airbnb listings charge a cleaning fee—but just what does that cover? While, personally, I do not think you are obligated, as a guest, to leave the Airbnb as clean as you found it, I do think you shouldn’t trash the place. But that doesn’t give you exact guidelines, right? Make it clear which linens/towels/sheets have been used and need to be washed. You can do this by stripping the bed (leaving the sheets on a pile on top of the bed) and leaving all used towels piled on the bathroom floor or thrown in the hamper (if there is one). Wash all your dirty dishes. Put all trash into the trash bin. You shouldn’t feel compelled to go beyond what I’ve stated above, especially if your host charges a cleaning fee. Having said that, though, because I realize many of my hosts are ordinary people doing the cleaning themselves, I try to help out as much as I can. Sometimes I’ll vacuum and wipe down the counters; other times I’ll get the laundry started. You do not HAVE to do this. When in doubt, ask your Airbnb host what they expect you to clean. #2 Should I tip my Airbnb host? The general consensus from the blog posts and host forums I’ve read seems to be no. In my 20+ Airbnb stays, I have only ever tipped my host ONE time, and that was because my host was also a tour guide, and he did a lot of personal things for us, like driving us to the train station, inviting us to dinner, etc. #3 I broke something in my Airbnb. Should I tell my host? Remember, some Airbnb listings require a security deposit to be held against your account. If they see damage, they will take the security deposit. Always be upfront about any damage. Often, if it’s small, the host won’t charge you for it. #4 Who is responsible for toiletries, like toilet paper, shampoo, conditioner, etc. Shouldn’t my Airbnb host replenish these things? This is a tricky one, now that I’ve seen both sides of it. While yes, if you were staying at a hotel, you would totally expect the staff to replenish toilet paper, when you’re staying at an Airbnb for a long time (say, one month), it becomes less of an expectation. For me, if I’m staying at an Airbnb for 4 weeks or longer, I buy my own toilet paper and other things if I run out. I realize my host is not a hotel owner, so I don’t want them to constantly buy things for me. On the other hand, as a guest, you may feel that you’re entitled to these things because you are paying to stay there. This one’s up to you. #5 Do I have to hang out with my Airbnb host? What if I want to be left alone? 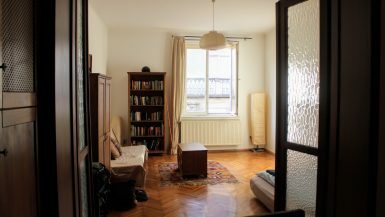 The amount of interaction you can expect from your Airbnb host depends on the type of Airbnb you’re staying in (entire apartment vs. private room vs. shared room), and you can usually tell what’s expected of you by carefully reading the listings. Remember, unlike hotels, Airbnbs are meant to have a community feel. It’s meant to connect travelers around the world with local hosts who will form more of a bond. That does NOT mean you need to be best friends with your hosts! It just means that, when you’re staying in a family’s home for example, be kind. Say hello to them. Introduce yourself. And don’t be surprised if they invite you to dinner. You do NOT have to hang out with them, but some common courtesy is expected. 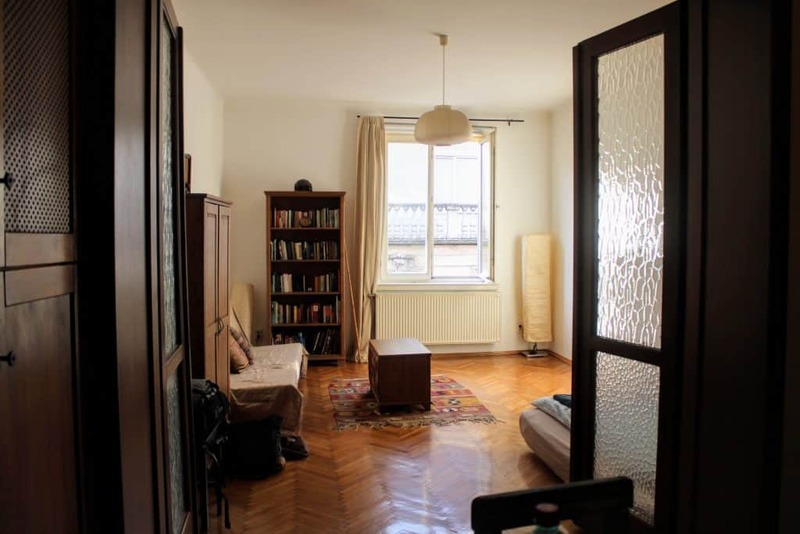 If you want as little interaction as possible, opt for an Entire Place Airbnb. You’ll have a private apartment, cottage, house, etc. with no hosts living in the same space. You may still run into your host, though, if they live on the property or nearby. Also, check the amenities. Some Airbnb hosts provide breakfast, which means you can expect to share a meal with them every morning. #6 Am I free to use ALL the spaces, appliances, food, etc., in the Airbnb? If you’ve rented an entire apartment, it’s typically safe to assume you’re allowed to use the things provided in the apartment. It’s SUPER common to find food, condiments, tea, and coffee left behind from the previous Airbnb guests. I usually dig into these, unless I’m worried that they’re not clean. HOWEVER, often, an Airbnb host is renting out their own home while they’re away. That means their personal belongings are mixed into the rental. In those cases, always ASK if it’s okay to use, for example, their food or shampoo. 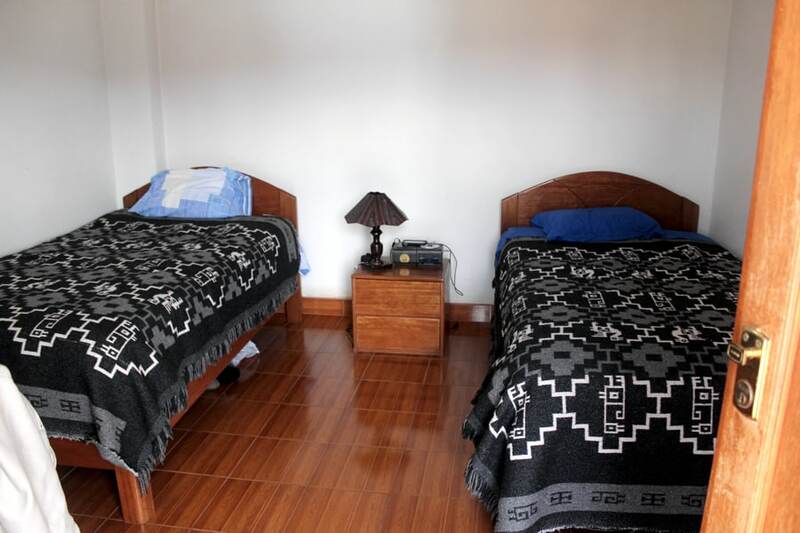 I remember one Airbnb had a nice acoustic guitar hanging on the wall, and lots of personal belongings (like their children’s old toys) were stowed away in boxes in the closet. So it was obvious to me this rental was also a personal place for the host’s family. I wanted to play the guitar, but I messaged my host to ask her if it was okay. She said yes, and that anything in the rental was free for me to use. If you’re sharing a home with a host, then only use what’s clearly there for guests. For example, I wouldn’t eat a host’s food or use a host’s toothpaste or clothes. When it comes to toiletries like shampoo, I would ask the host if it’s okay to use them. 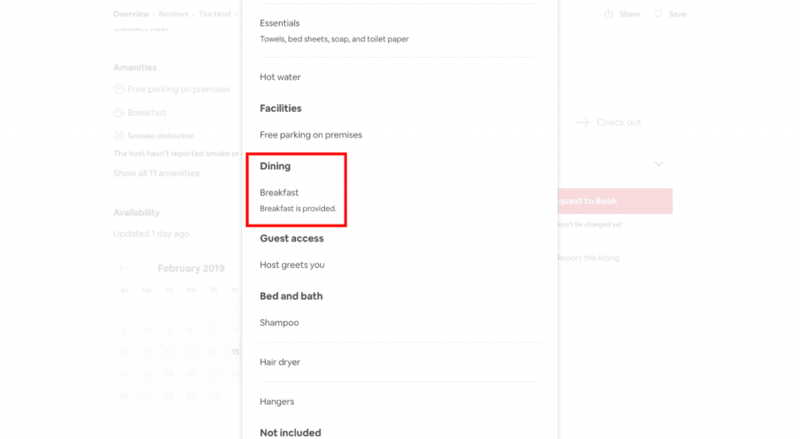 Usually, but not always, hosts will clearly indicate in their Airbnb listing if you’re allowed to use space in the refrigerator or do some cooking in the kitchen. Again, when in doubt, just ask your host. If you’re sharing a home with a host, be mindful of giving them space. This is a line that’s blurry because cultures and individual preferences vary WIDELY. I do know that when I was co-hosting briefly, I got to hear the pet peeves from the main host, who had been doing Airbnb for years. She told me that it annoyed her when one family rented a room in her house and would hang out at the kitchen table while she was preparing dinner. The host wanted space to cook dinner and eat at the table with her own family in her own home. This requires some situational awareness and social sensitivity. If you’re hanging out in the kitchen, and you notice your host is bringing out ingredients in preparation for cooking, politely excuse yourself and give them some space. For me, I just try to keep in mind that I am a guest in someone else’s home. It is not MY home, so I always defer to the host to get first dibs on everything. Don’t bring in guests without prior approval. Unless you specifically included these guests in your Airbnb booking, do not assume you can bring guests over. This includes daytime visitors and overnight guests. 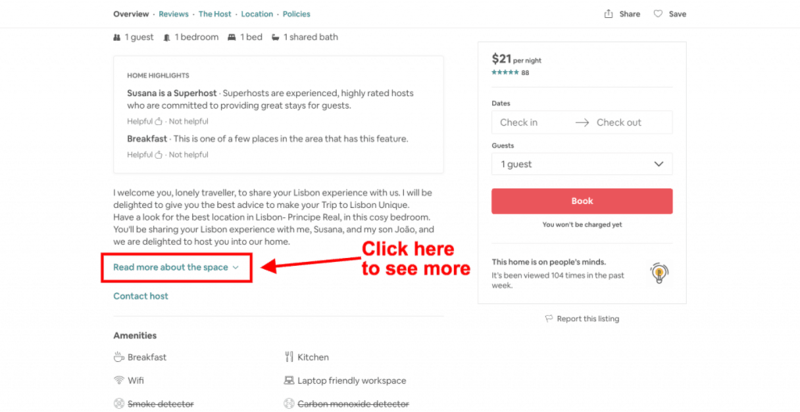 Some Airbnb hosts require an extra fee for each overnight guest, so by not alerting them, you’re stealing money. Other Airbnb hosts don’t feel comfortable having guests on the property even for a short visit. So I’d check with the hosts to ensure it’s okay. Typically, if I’m staying at an Entire Apartment for an extended period, I don’t ask my host every time I want someone to come over for a short visit. But, if someone wants to stay the night at my Airbnb, I always ask my host. I’ve never had a host deny me the request. And almost every host allows my guest to stay without charging an extra fee. 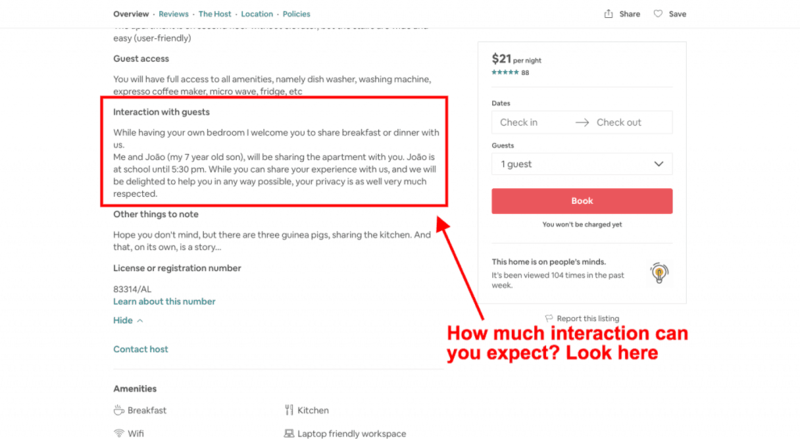 After reading some Airbnb host forums, though, it seems like the safest bet is to always disclose if you plan to have anyone over, even for a few minutes. Hosts might be wary of letting unregistered guests in due to liability reasons. Their insurance might not cover the unregistered guest, and if something were to happen and the host got sued, well, that would stink. So, because the property belongs to the host and not to you, be a good guest and let them know you’d like to have people over. Message your host when you’ve checked out. This is my biggest gripe with Airbnb’s platform: There’s no way for a host to know when you’ve arrived or when you’ve left. I feel that the app should have a feature where you check in and check out, but it doesn’t. Your Airbnb host has no way of knowing exactly when to send in their cleaner because they don’t know exactly when you’ve left. Yes, most hosts have a checkout time listed on their listing, but that doesn’t mean you left at that time. It can be helpful for them to get in earlier if you left early so they’re not scrambling to turn the room over for the next guest arriving later that day. This is NOT required, but as a courtesy, message your host when you’ve officially checked out. This will make their life so much easier! If something goes wrong or you’re unhappy, give your host an opportunity to correct things BEFORE you leave a bad review. I have left a bad review for a host only ONE time out of the 25+ Airbnb stays I’ve had. Why? Well, I messaged her multiple times letting her know that the A/C wasn’t working (it was pushing 85 degrees and there was a heat wave coming through). She was extremely slow to reply and then basically told me it wasn’t that hot, and that I should open some windows. When after several messages to her, she failed to fix the problem, I canceled my stay and went to my hotel. For days, I agonized over leaving her a negative review. I felt terrible because I know many Airbnb hosts rely on their rental income, BUT at the same time, as a guest, I would want to know the truth so I could avoid that Airbnb. I left a review stating exactly what happened so that future guests could know what to expect. I tried not to exaggerate or accuse, but simply state the facts. I feel good knowing that I may have spared other guests the same experience. Leaving a review is paramount. Airbnb hosts (especially new ones) rely on reviews to entice guests to book with them. Airbnb guests, on the other hand, rely on reviews to get a full and accurate description of what they can expect if they choose to book. The entire Airbnb ecosystem relies on honest reviews. If I check into an Airbnb because all the reviews were glowing and said the neighborhood was safe, only to find that the place is filthy and in a high-crime neighborhood, I’ve wasted my money. Airbnb will give you two weeks to review a place after you check out—then the opportunity is gone forever. So be sure to leave one! 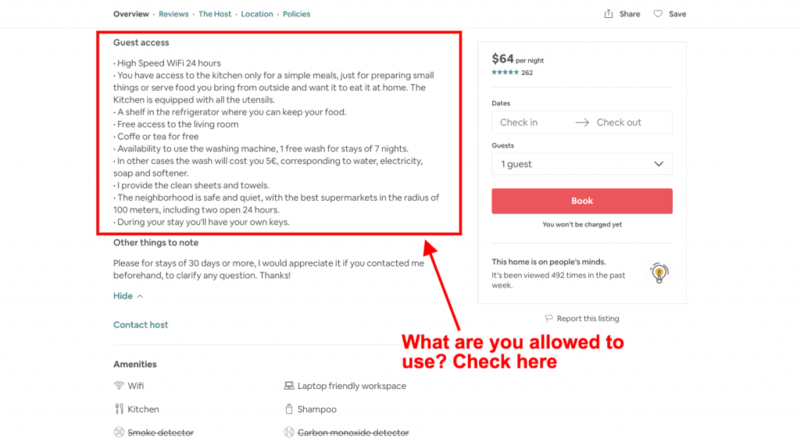 Now that you understand a bit of the unofficial Airbnb etiquette rules, I hope you can relax and enjoy your Airbnb experience. If you’re new to Airbnb, you can get $40 off your first Airbnb stay with my referral link. Next article Airbnbs vs. Hotels: Which Is Better?